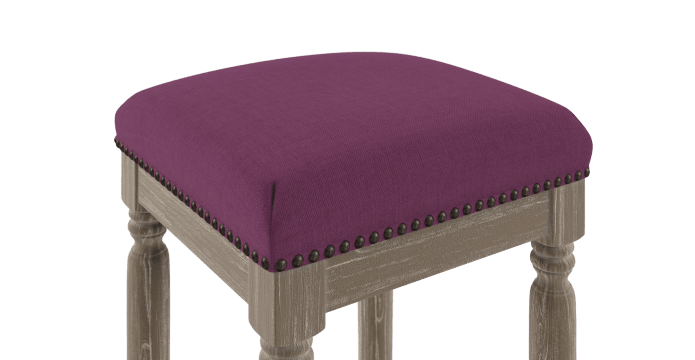 The Clovis High Bar Stool is a stylish design with carefully considered details that will add instant appeal to any home. 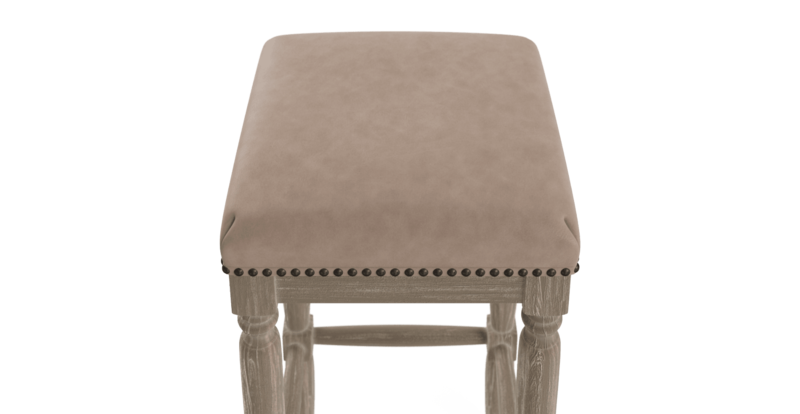 See also the Clovis Low Bar Stool to create your own set. 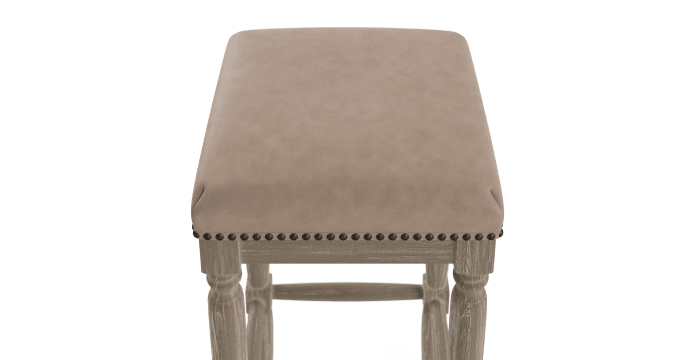 The Clovis High Bar Stool comes in one, and available in a range of colour and material options that are accented by intricate bronze studding. Plenty of room for you to be creative and match your own set of bar stools. The Clovis Bar Stool makes a spacious and comfortable seat. It has been filled with a Medium Density Foam Core and Polyester Wadding for soft, rounded edges. Won't hurt a bum. Generations of craftsmen experience have allowed our team of makers to create this beauty. 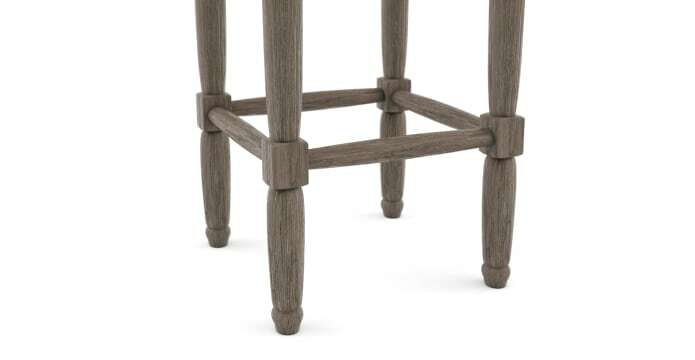 Elegantly carved legs have been crafted from Beech and finished with Wire Brushed Wax for a long-lasting quality. 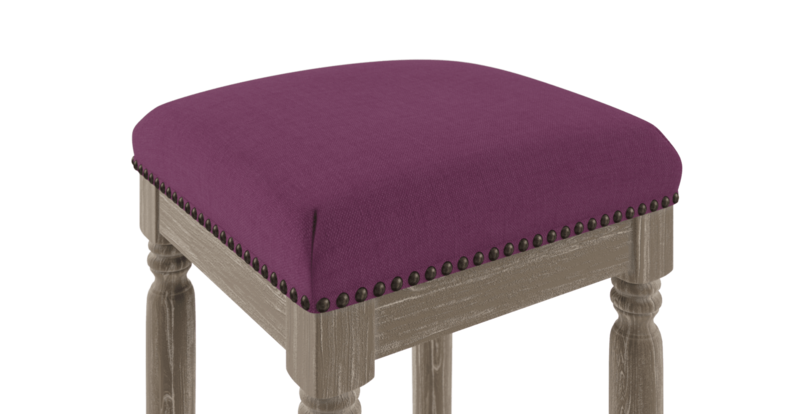 See, touch and feel our fabrics used on our Clovis High Bar Stool. For Free! Simply select up to 3 fabrics and add them to your cart. Delivery is on us. Good news! Clovis High Bar Stool is currently on display in our Alexandria Collingwood studio.